Young students at the school understand their bigger responsibility towards the Community, Society, and the Nation as whole through various social welfare activities through out the year. Students indulge in Shramdaan, Bhandaara, Donations and Visiting Old age Homes etc. This develops a sense of sympathy and gratitude among young minds. 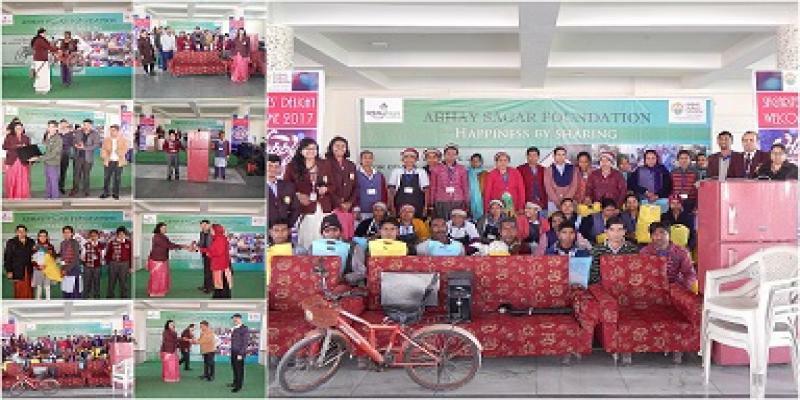 Sagar Public School is not only shaping the little brains to achieve their endeavours but is also inculcating the ethical values by the grand initiative FISTFUL OF HAPPINESS. It is initiated by the SAGAR GROUP to offer helping hands to the needy people who are unable to have two squares of meal a day. Children participated to collect grains under the programme wholeheartedly.